We are 30 years young! For over 3 decades we have been dedicated to supplying the largest selection of landscaping materials to homeowners and contractors on the North Shore and throughout the Lower Mainland. From retaining walls to paving stones, slabs to flagstone; you’ll find a choice of hard landscaping products in concrete and natural rock in our yard. 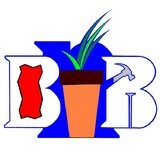 We carry a wide selection of planters, patio furniture, garden art and statuary, in fiberglass and concrete. If water features and ponds are your interest, we supply a complete line of water garden products. We pride ourselves on providing the right product at the right price with complete advice from start to finish. While we do not install, we work with the finest contractors large and small to provide the right fit for our homeowners. We create stunning outdoor patios, walkways, and indoor decorative flooring features. Each project is uniquely designed with the client and environment in mind. We listen very carefully to your needs and preferences to create oases of beauty within your particular setting. A gorgeous pebble mosaic patio in a quiet corner of your garden, or a series of mosaic stepping stones, will add a delightful decorative element to your outdoor space. Aside from their practical use, these original art pieces also add winter interest to the garden. Northwest Landscape and Stone Supply has been supplying natural stone and hard goods to the landscape and masonry industry for more than 35 years. Our team supports our client's efforts to provide quality workmanship, and our industry's best-practices are very important to us. Northwest runs a variety of educational events to help our customers hone and showcase their very best work; as a result, we are grateful to have been recognized recently by the BC Landscape & Nursery Association as 'Supplier of the Year'. That is why we employ local, expert stone-cutters and artisans, and knowledgeable staff, who work hard to provide landscape and masonry professionals with materials that will lead to a perfected final project. Our signature products include both natural and custom-cut, hand-selected and honed basalt, which we quarry from the Squamish-Whistler corridor. The basalt you see in our South Burnaby yard, and our Squamish Saw Shop and Boulder Patch, has become the hallmark of British Columbia's "West Coast Style". To provide you with the most complete selection possible, we also import remarkable stone, cobbles, natural stone pavers, pottery, and statuary, which we hand-select from oversea and North American sources. Our mission is to serve with professional care and quality. That is why we only use the best products. We are not just another “concrete contractor in Vancouver BC” we are a concrete company full of innovative ideas, products and dedicated staff. Cloudstone is a revolutionary product from the manufacturers of Rocky Mountain Stoneworks. At Rocky Mountain Stoneworks, we are dedicated to creating and manufacturing quality products for the home owner and home builder . After working with a wide variety of industry professionals including architects, designers, landscapers and building professionals we recognized a need for ultra light weight manufactured stone for the new GREEN environmentally friendly housing markets. CloudStone is a lightweight, mortar-less, stone handcrafted to produce the look and feel of natural stone. We provide residential and commercial masonry services. Design and installation of interior and exterior living spaces using brick and natural stone for feature walls, fireplaces, chimneys, outdoor kitchens and fences. Brick and natural stone restoration. WETT certified chimney inspections and sweeps. Chimney restoration, repair and construction of new wood burning fireplaces. Chimney counter flashing and crown installation. Tetristone Masonry specializes in high quality, custom natural stonework for residential and commercial properties in BC’s Lower Mainland. For two decades, our craftsmanship has been standing the test of time. See the difference carefully handcrafted stonework makes, plus the significant value it can add to your property. Stone Event brokers natural stone products from around the world to landscape architects, designers, builders, installers, and home owners across Canada. Stone Event's partner fabricators are ISO-9001 certified - the global standard for Product Quality Management Systems. We coordinate fabrication, global logistics, and sell directly to you. 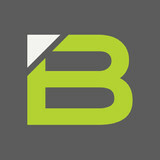 Our broker model means you don't pay retail markups. Stone Event is a Certified Carbon Neutral company, the first and only in our industry. Since 2014, we have measured and offset, with 3rd party verification, all the greenhouse gas emissions resulting from the transportation of our products around the globe — from factory door all the way through delivery to project job sites. We’re proud to operate our business while still taking action on climate change. Big Rock is Vancouver's innovative leader in concrete forming and custom home framing. We have vast experience in all aspects of residential, commercial and industrial concrete construction and excel at large pours and complex formwork and framework. We are architectural formwork and concrete foundation specialists and have been building beautiful homes and concrete landscapes across Vancouver for over 15 years. We have strong ties throughout the communities that we serve, and a solid reputation for quality craftsmanship, responsible management, exceptional customer service and sustainable practices. We are owner-operate and provide clients and colleagues with hands-on management and a dedicated, respectful team of 20+ supervisors and crew who are knowledgable in all areas of construction and concrete. We love a challenge, and are skilled at partnering to bring the homeowners vision to light. We invite you to contact us to discuss your upcoming building project. We look forward to working with you! Peak Concrete Design is a family owned business. Started back in the early 80's in Richmond, BC, the company's focus has never changed – provide quality workmanship and excellent service. Most of the team members at Peak Concrete Design have been with the company for the majority of their concrete construction careers. Peak team members are professional, polite, and here to attend to your questions, concerns, and ultimately, your vision. Generally, we service Vancouver, Richmond, the North Shore, Delta, Ladner, Tsawwassen, South Surrey, White Rock, Burnaby and New Westminster. Although we are a full service concrete contractor - pouring foundations, floors, stairs, and retaining walls - we focus on residential concrete replacement of driveways, patios, and pool decks. We are highly experienced in various concrete enhancing finishes including stamped, sand blasted, decorative saw cuts, and seeded exposed aggregate. 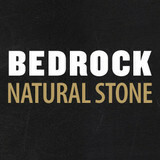 Rock Solid Stoneworks is a Vancouver company with over 20 years experience in Natural Stone installations. We specialize in high quality stonework including house facings, landscape walls, patios and water features. We take pride in being attentive to your preferences, requests and concerns. What set's us apart is our attention to detail and our uncompromising high standards. Stone Concept offers interior and exterior natural stone thin veneer products of quality, aesthetic and affordability that are second to none in our industry. Our products may be what attracts you to Stone Concept initially, but it’s our exceptional levels of customer service that we hope leave a lasting impression. We can work as consultants with you, moulding our natural stone products into customized pieces of art to suit your needs. No matter how small or how large the job, you will be treated with the same care and attention to detail. No matter how complex the customization level or size of job, we’ve done it many times before and we will deliver beyond your expectations. Is it time you spruced up your outdoor living spaces? Creative West Vancouver pavers, masonry contractors and stone suppliers can help. Professionals specializing in hardscape such as walkways, patios and retaining walls will work with you to design, plan, install and even fix your exterior and interior home projects. 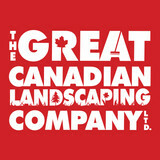 Read further to learn how to best find and work with West Vancouver, BC stone, brick, paver and concrete contractors. For the most part, people hire a stone or concrete contractor for large installations like driveways and walkways, or for home facades and exterior columns. These brick, pavers or stonework installations can add lots of functionality and visual curb appeal to your British Columbia home. Pavers come in a wide variety of colors, shapes and sizes, and the right vendor or specialist can help you choose a color and design that complements your existing landscaping. From installing new exterior columns to repairing your chimney, masonry contractors can help you add both visual appeal and value to your property. They’ll know what kind of installation makes the most sense for your West Vancouver, BC climate and regional style. Looking for something that will develop a patina with time? Or would you rather have your home feel brand new for years to come? Choosing the right kind of stone involves thinking about the future, too. Experienced brick suppliers and stone suppliers can help you find the material that will work for your home now and for years to come. These professionals aren’t limited to exterior work either. Whether you want a split-stone granite wall in the kitchen or need help installing traditional brick masonry on your fireplace facade, you’ll want a professional to get it right. If you’re already working with an architect or designer, he or she may be able to suggest a good West Vancouver, BC subcontractor to help out. Here are some related professionals and vendors to complement the work of stone, pavers & concrete: Landscape Architects & Landscape Designers, Architects & Building Designers, Garden & Landscape Supplies, Driveways & Paving, Siding & Exteriors. Find stone, paver and concrete professionals on Houzz. Search the Houzz Professionals section for West Vancouver, BC stone, paver and concrete professionals. Browse photos and read reviews, and contact a pro if you like their work.